Facebook CEO Mark Zuckerberg delivers a keynote address. Facebook seems to be looking at Newark as a back-up plan -- just in case its Menlo Park headquarters expansion is denied. A Facebook spokesman wouldn't comment on a report that the social network was looking at the Pacific Research Center in Newark, but he did say the company was keeping its options open. "We hope that city (Menlo Park) officials see the significant economic benefits that come with having a good neighbor, like Facebook, join the community," spokesman Tucker Bounds wrote in an email to the San Jose Mercury News. "Our expectation is to grow and thrive responsibly in Menlo Park, but it's important for us to evaluate other options in the case that our plans are not fully approved and supported." Facebook wants to expand its current 2,000-employee headquarters at the former Sun Microsystems campus to 6,600 workers by 2015. It also has plans to add another 2,800 staff members by 2017 at an adjacent West Campus. However, the City of Menlo Park has a 3,600-employee cap to prevent traffic congestion and other perceived problems. So now the city has to complete an environmental impact report by the end of April that shows the project's growth impacts can be offset. 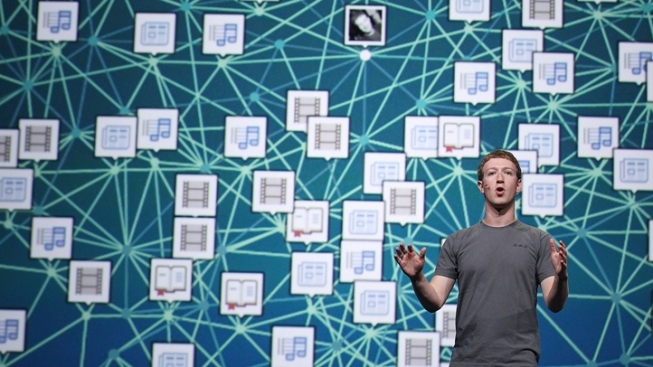 If the impacts can't be offset, then Facebook may have to move elsewhere. That's not great for either Facebook or Menlo Park. Facebook recently showered Menlo Park with jobs, donations to high schools and local charities and employee volunteers. Menlo Park wanted more, including subsidizing park maintenance and landscaping an expressway, but Facebook refused some of the requests. In short, their relationship has been a little rocky.